The leaders in your organisation are the people who will build it, improve it, keep it competitive, make it more profitable, and continually push it forward. While natural leadership abilities do exist, it is almost always necessary to give leaders training to refine their skills, maximise their performance, and become the best leaders they can be. E-learning can help you achieve this. This applies to any type of leadership training, from developing soft skills to improving decision-making to compliance training to handling conflicts and more. 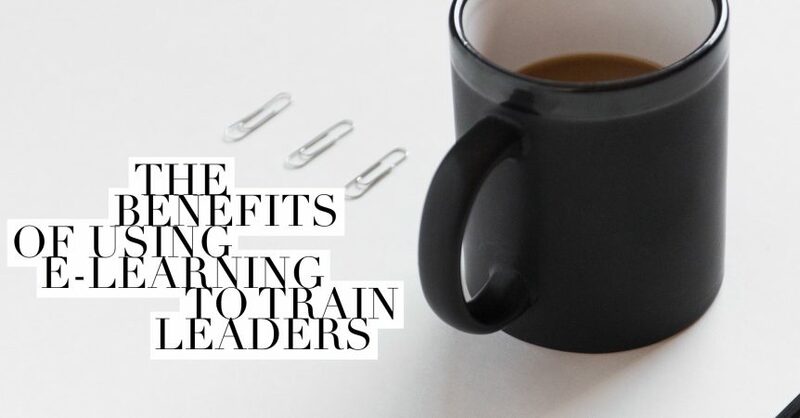 Here are the main benefits of using e-learning to train leaders. E-learning is one of the most cost-effective tools available for training in your business. For a start, it doesn’t involve travel and the associated costs, including the cost of taking leaders away from the day-to-day running of the business to attend a course. E-learning is also cost-effective in the long-term as you build up a library of courses for future use, refining and updating the content within those courses as you go. Leadership is not just about theory. Instead, it is about putting leadership theories into practice. With e-learning, you can make training as close to real-life as possible by including scenarios in the content of your courses. This lets leaders learn the theory and then put that theory into practice. Scenarios are simulations that mimic real events or situations. These could be events or situations the executive, manager, or supervisor is familiar with, or you can present events or situations they are not familiar with, putting them out of their comfort zone. So, scenarios are similar to role-play exercises, although there is much less reluctance to participate as scenarios don’t involve pretending in front of a group of people. Instead, it is more like a game. With scenarios, you can test judgement, problem-solving skills, people management skills, and more. Even more importantly, however, scenarios are a fantastic learning tool. This applies whether leaders take the right decision or the wrong decision as, whatever the decision, it happens within a secure learning environment. Following on from the last point, e-learning makes it possible to put leaders and managers in situations that in real-life could be risky for the business. You can even put them in situations where the decisions they take could, if it was real-life, physically, mentally, or emotionally harm other people. Examples could be a major accident, a business-threatening cyber-attack, or an escalating confrontation with employees. After all, e-learning courses are a safe environment. This means you can better equip leaders to deal with major incidents by showing them the impact of their decisions and actions. One of the biggest problems with leadership training, as with any other sort of training, is making it relevant to learners. After all, you will have leaders with different skillsets, different job roles, and different responsibilities. With e-learning, however, it is easy to tailor courses, so they contain content that is relevant to the learner. After all, good leadership training is as much about context as it is about content. Importantly, tailoring the content of your e-learning courses is a quick and cost-effective process. Help you evaluate the effectiveness of the course, so you can make changes that will improve it in the future. Help you evaluate the performance of learners so you understand their strengths and weaknesses. Following on from the last point, tests also make it possible for you to recommend further training or actions that will give leaders the skills or knowledge they currently lack. Without the data you get from a test on an e-learning course, you might not have this information. Learners can also see what they are good at and what they need to improve. This helps with self-motivation and individual-led professional development. You can automate part of the above process with reports and automatic recommendations, plus you can have a manual involvement too. This is an indirect benefit of using e-learning to train executives, managers, and supervisors, but it is no less important. A culture of learning in your organisation will ensure you have the skills you need as well as productive and effective teams. As with other cultural issues, however, this requires top-level buy-in. When the leaders in your business have practical experience as a participant in e-learning, they will be better equipped to sell and promote the benefits to members of their team. E-learning is not the only tool you need when developing and training effective leaders. For example, mentorship programmes can also be incredibly effective. That said, e-learning should be part of the training and development process at all levels of your organisation, including at the very top.